8 Moss Lea is a detached bungalow situated on a generous plot with a garden room, allowing you to sit back and enjoy the open countryside views over the Howgills. 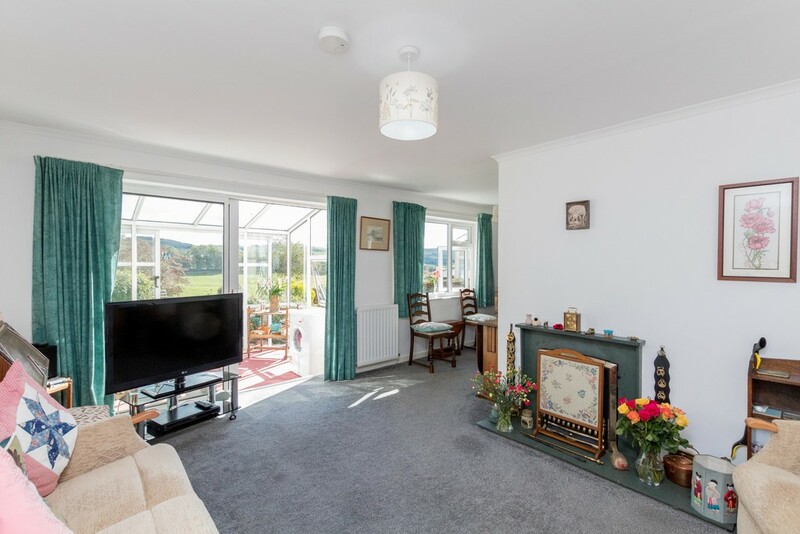 This spacious three bedroom home includes a single garage, ample off road parking and is located at the top of the cul-de-sac Early viewing is highly advised. 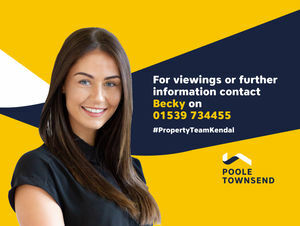 Full description:DIRECTIONS Leaving Kendal via Burton Road, continue driving past Westmorland General Hospital and the Texaco petrol station at Oxenholme. As you approach Summerlands, you will see a bus stop on the left hand side of the road. Continue a few hundred yards further taking the first turning on the left, signposted Gatebeck. 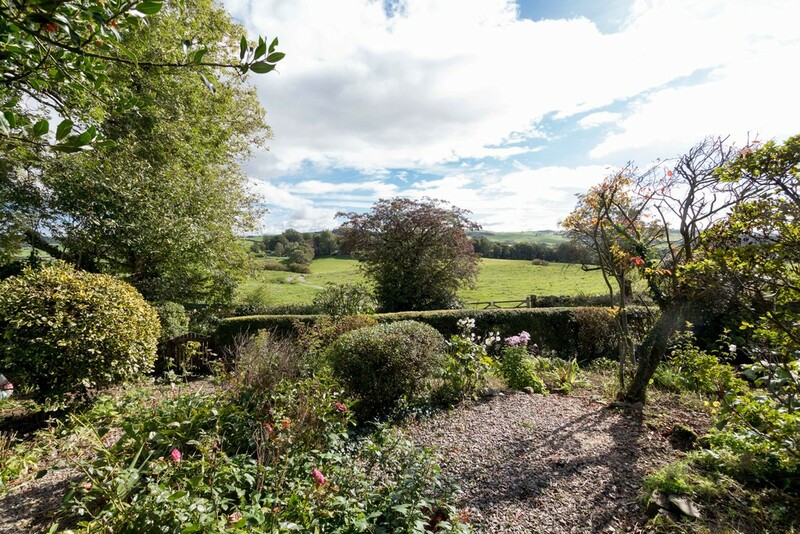 Travel down this road for a short distance and take the first turning on the left sign posted Low Park. Take the second left into Moorside Road, then the first right into Moss Lea. 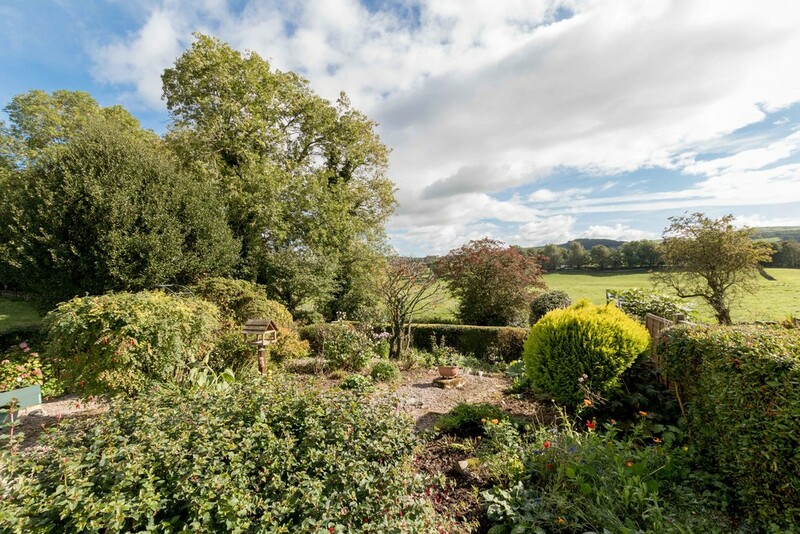 LOCATION The property is situated in a highly sought after semi-rural location with views to open fields and easy access to the village of Endmoor, the market town of Kendal and further afield to the Lake District and Yorkshire Dales National Parks as well as the M6 motorway. 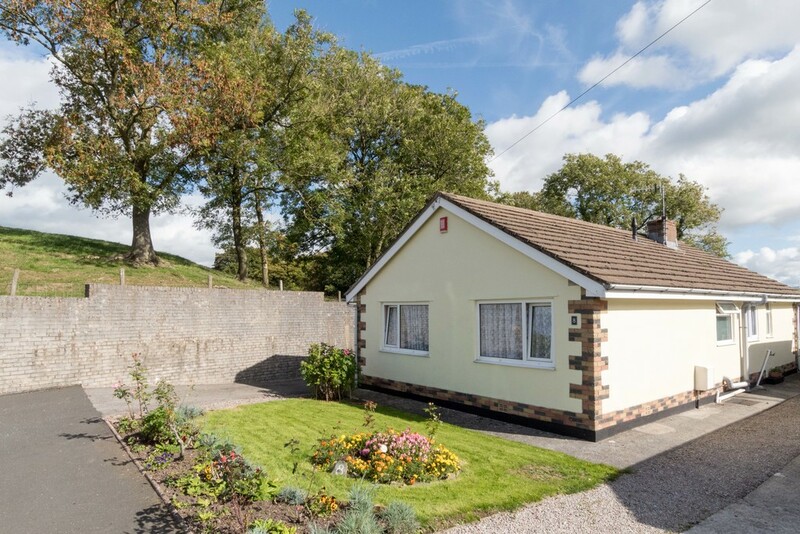 DESCRIPTION This detached true bungalow sits at the end of the cul-de-sac with a pleasant outlook onto the adjacent fields and beyond the gardens to the nearby countryside. There is a single step leading you into the property through the vestibule area which leads you into the hallway where there is loft access and doors leading into all of the accommodation with exception of the kitchen. 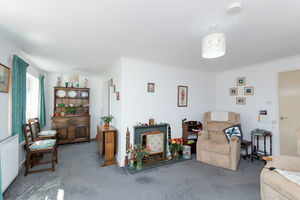 The lounge is laid out in an L-shaped arrangement and forms a dining area adjacent to the kitchen and a generous size living room area where there is a central fireplace with a gas coal effect fire set within. 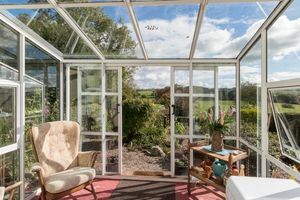 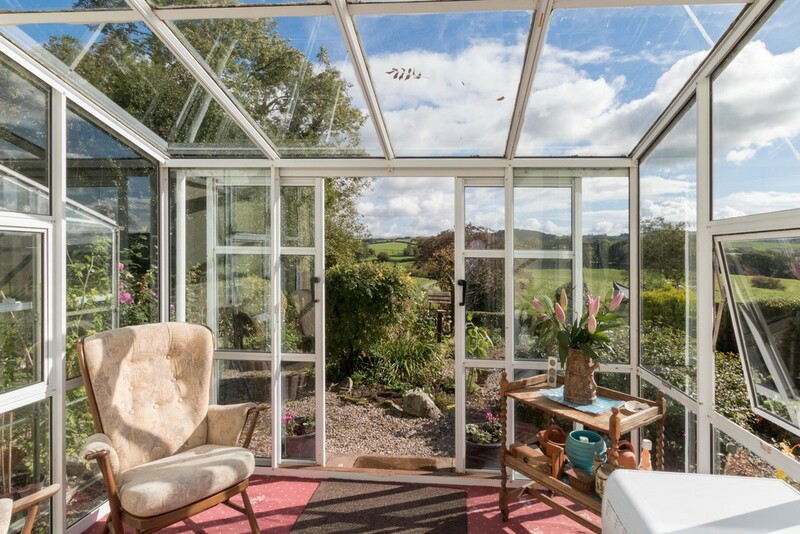 The room has glazed sliding doors leading into the attached, single glazed garden room extension allows you to further enjoy the gardens. 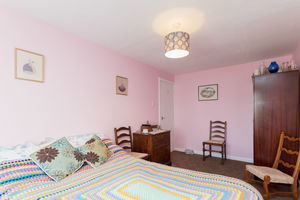 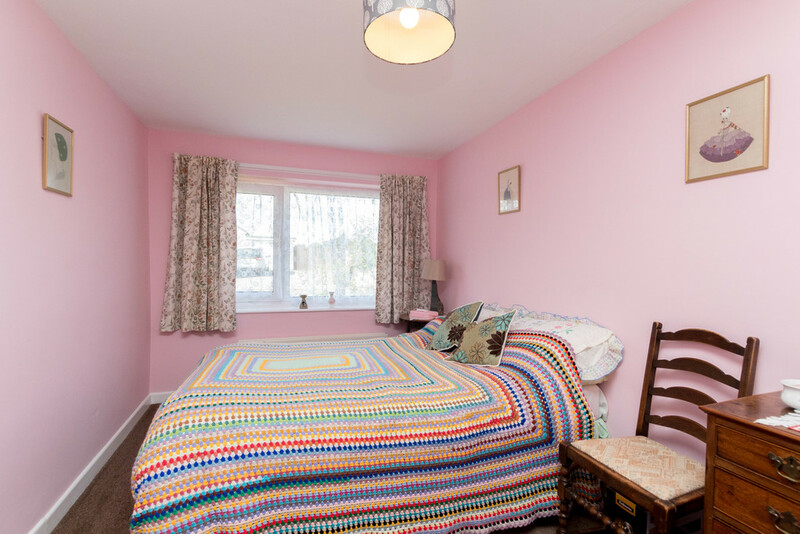 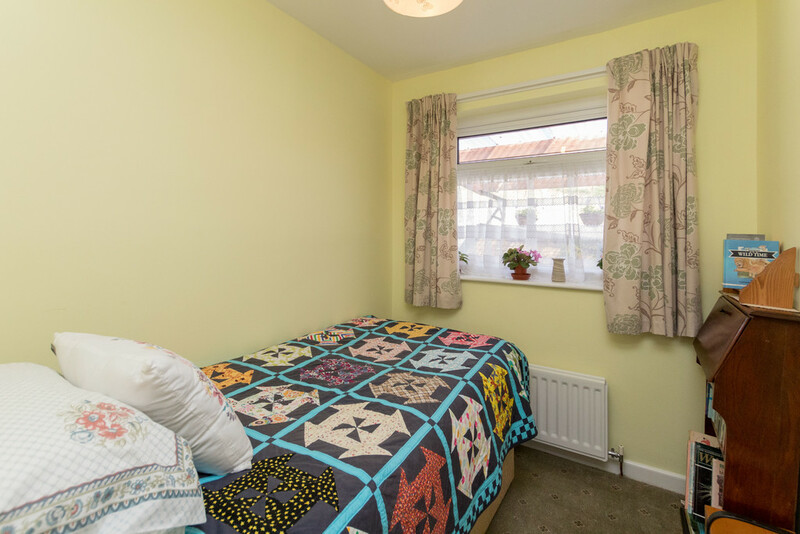 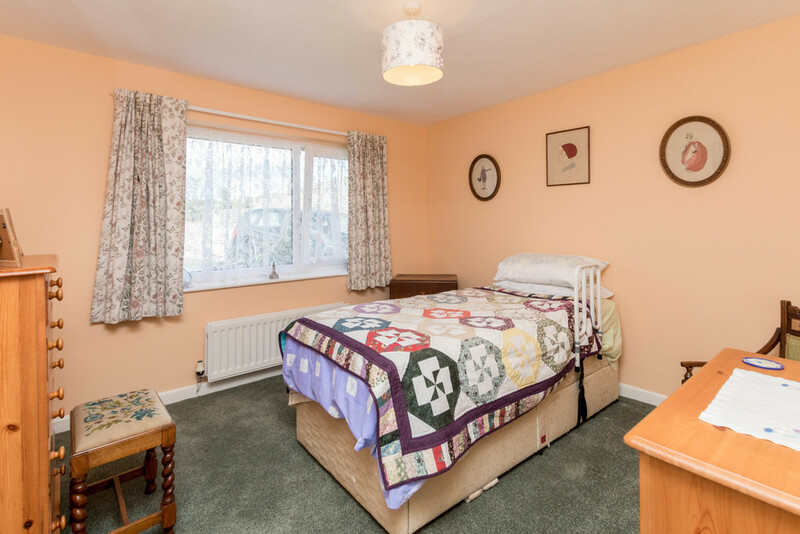 There are three bedrooms in all, two of these being double bedrooms overlooking the front garden, the third bedroom being a single room that is situated directly opposite the shower room. 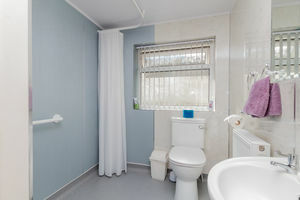 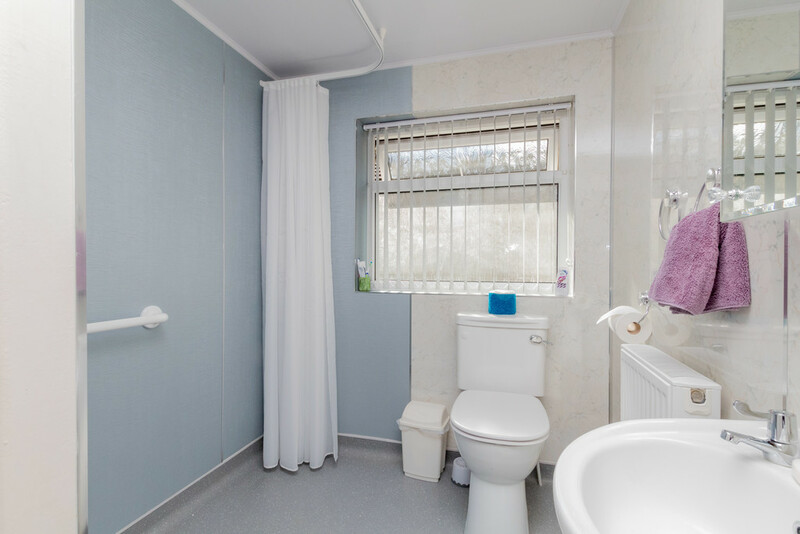 The original bathroom has been remodelled and updated in favour of a wet room which has a sealed floor throughout and a tiled finish to the wall and a modern white suite including a WC, wall mounted wash basin and shower area where there is a wall mounted shower and curtain rail above. 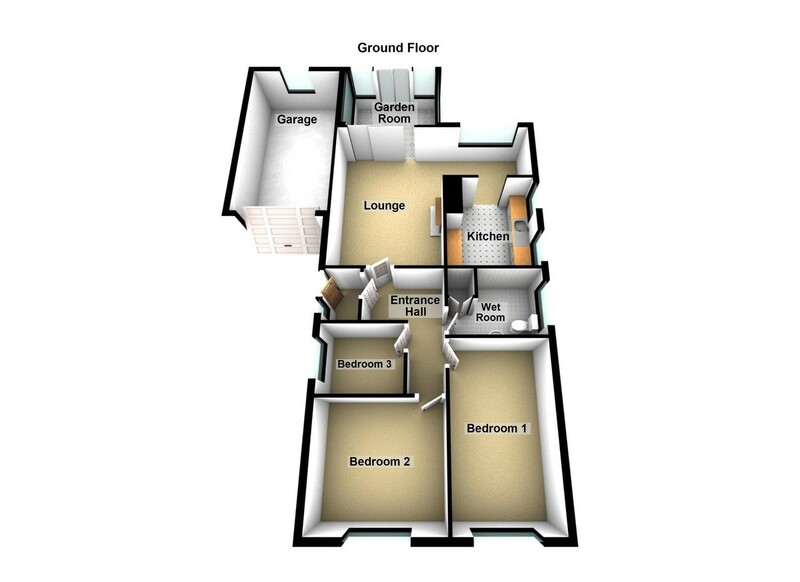 There is a built-in linen cupboard housing the central heating boiler. Finally is the kitchen, finished with a double sided arrangement of base cabinets and drawers with further units fitted to the walls. 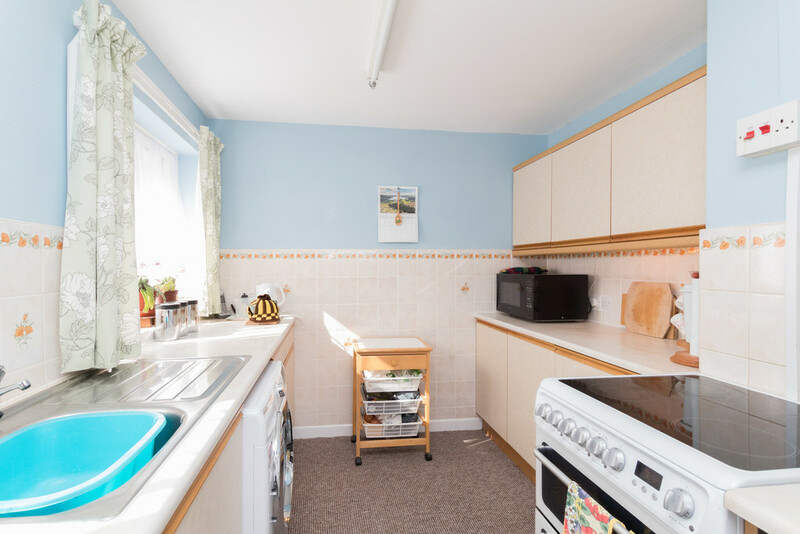 The wood effect work surface incorporates a single drainer sink with space beneath for a fridge and freezer, washing machine and also for a cooker. 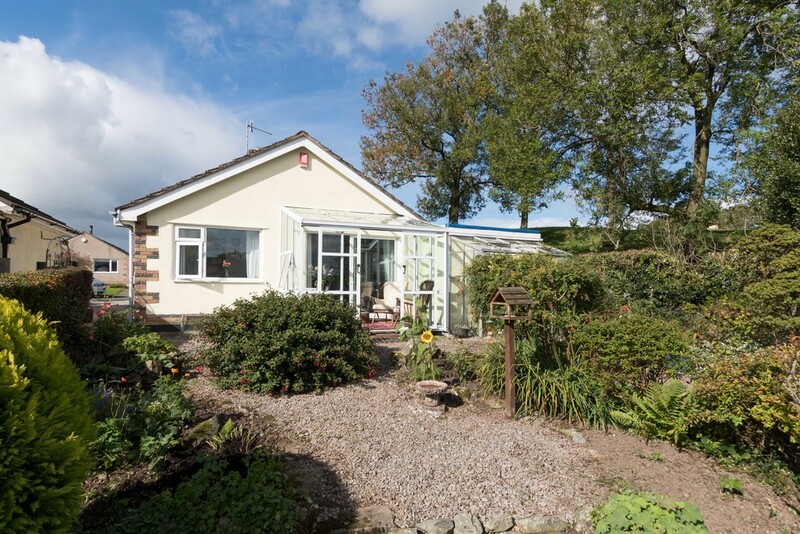 Externally, there are open plan gardens to the front with a shaped lawn and colourful planted beds. There is external access to either side of the bungalow leading into the rear garden that gently falls away from the property allowing for an unrestricted view of the distant countryside. This mature garden space has heavily planted beds and rockeries with gravel pathways leading between the various seating areas.